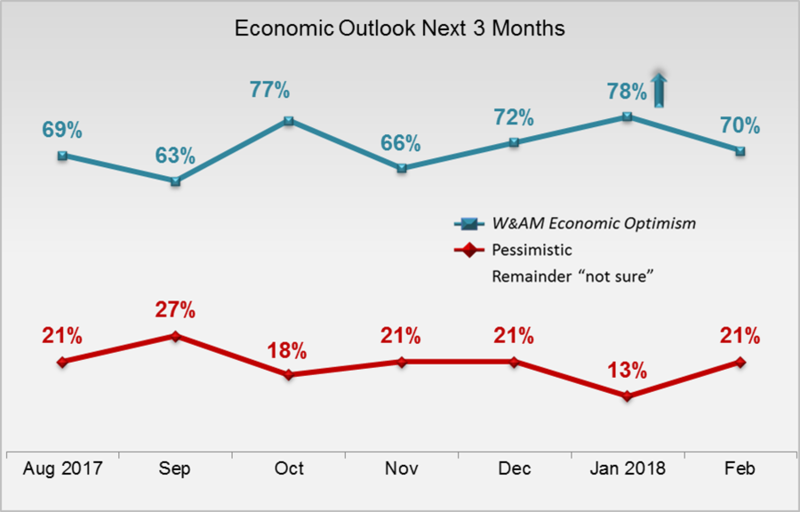 After robust gains over the past three monthly tracking periods, the W&AM Economic Optimism trend line declined eight points to 70% among Mass Affluent. 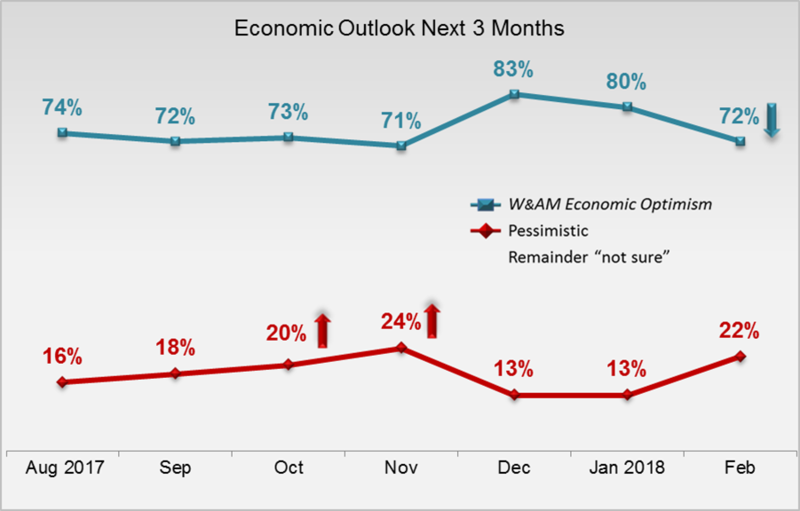 Economic optimism also declined for the third straight period among HNW investors, dropping eight points to 72%. 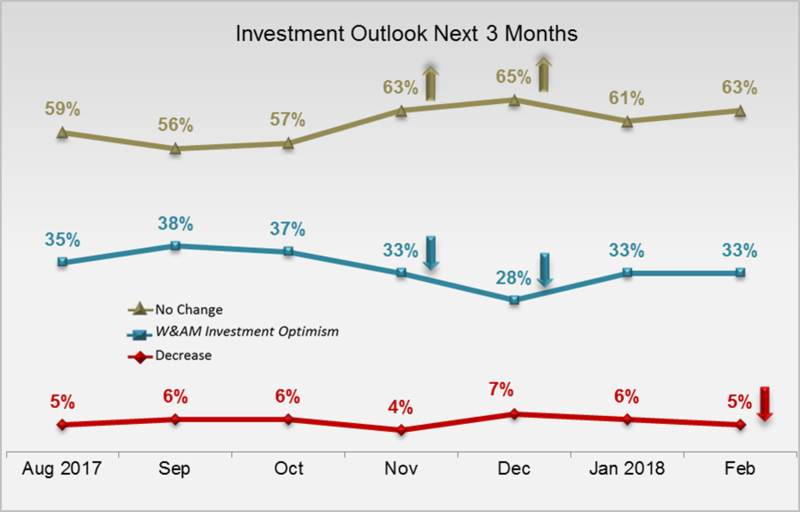 In contrast to a very optimistic Consumer Confidence Index score in February, affluent households were relatively bearish about both the economy and about putting additional capital into the equities markets. 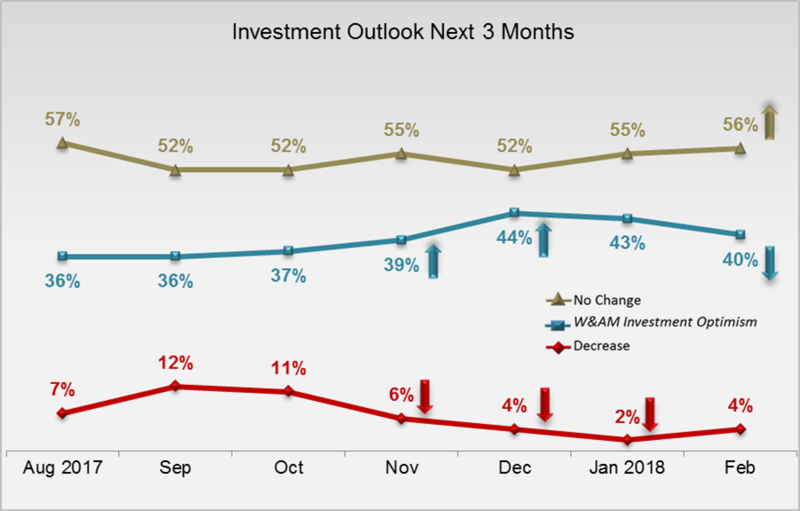 This was particularly true of HNW investors.